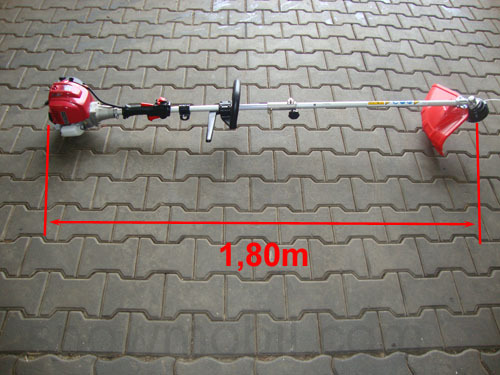 This multifunction tool is equipped with a quality Honda engine. 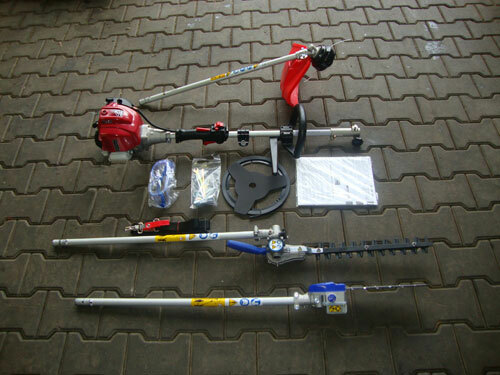 We are the dealership, we get provided brushcutters directly from the producer. 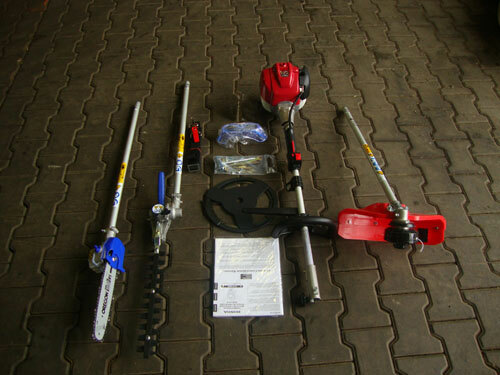 It can be assumed that this company produces brushcutters for much of all Japanese manufacturers of brushcutters. We picked out the biggest and best known. 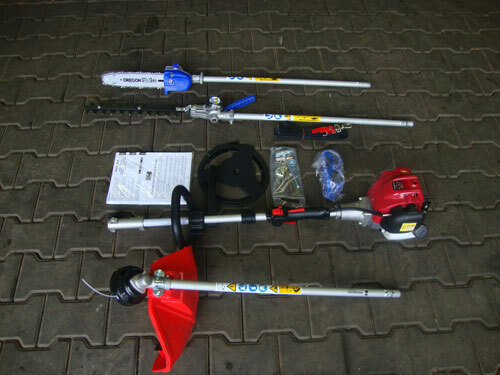 The producer manufactures trimmers for well-known distributors worldwide. Some more informations.... We are the dealership in Germany! 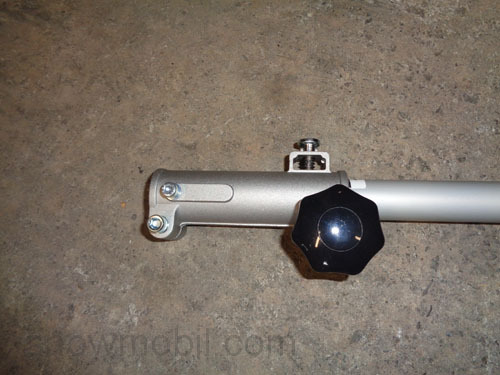 The motors are purchased directly from the Honda company. Thus, a low purchase price and the best quality is guaranteed. 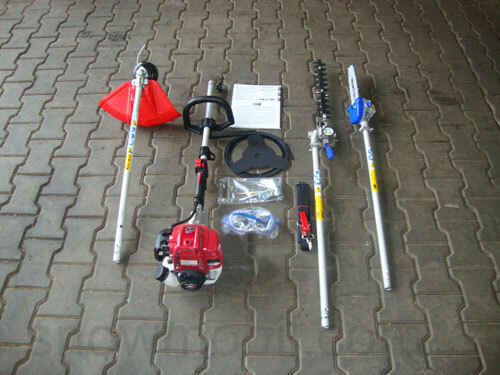 Thus we can offer a quality product to you at the best price-performance relation. We buy only full shipping containers - directly from the factory. 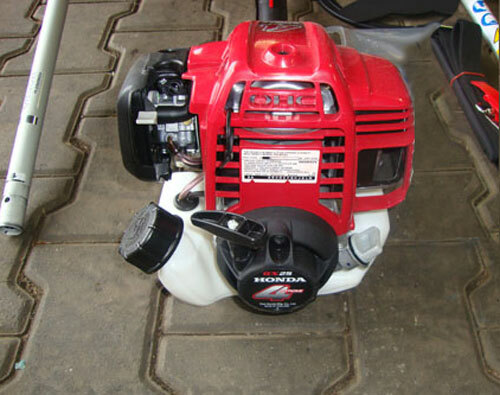 The engine will start super easy, no matter at what position the engine is situated and furthermore a 4-stroke-Hondaengine GX25 is quieter than a 2-stroke engine. Our UMC25 model is technically and qualitatively comparable to the Versatool UMC425E of Honda. 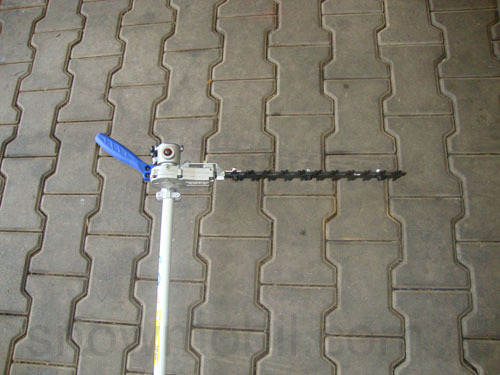 The multitool UMC25 can be used in many cases. 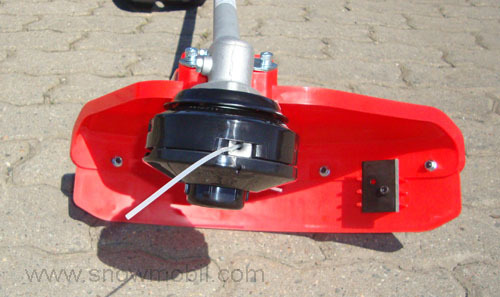 The fastener plug-fit system is very simple. 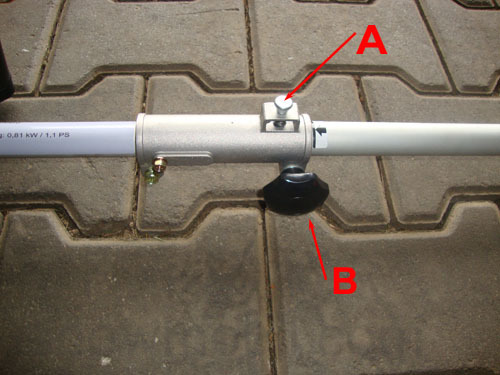 You plug the device into the friction tube clasp (arrow on the locking lever) let the locking bolt into place and tighten the knurled nut to connect firmly. 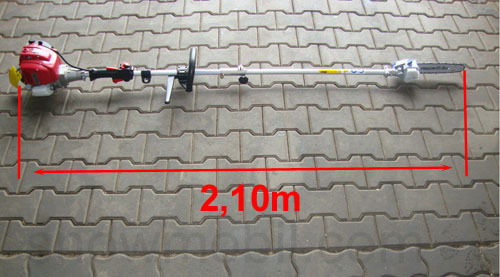 1x hedge trimmer attachment working width of 40cm, the cutting angle can be adjusted stepwise via the blade holder. • max. engine power: 0,81 kW/1,1 HP at 7000 rpm. 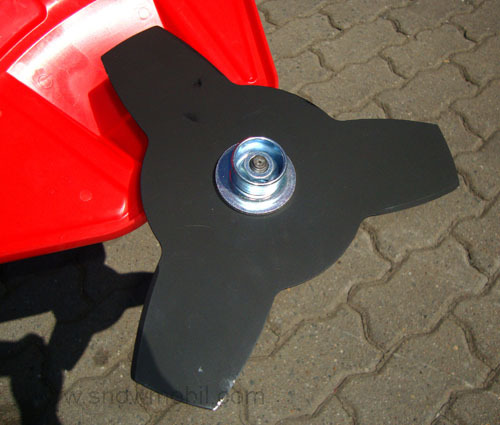 The included 3-tooth cutting blade for grass cuts the grass with ease and produces a clean cut. 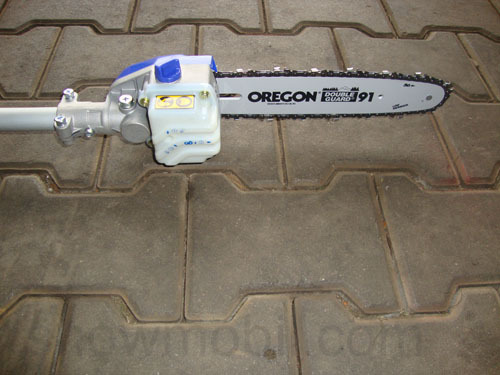 The blade has the dimensions: 255 mm diameter, 2 mm thick, center hole 25.4 mm, cutting width 255 mm. 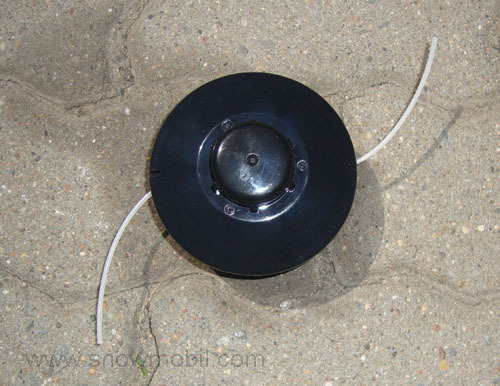 It can be easily sharpened with an angle grinder. 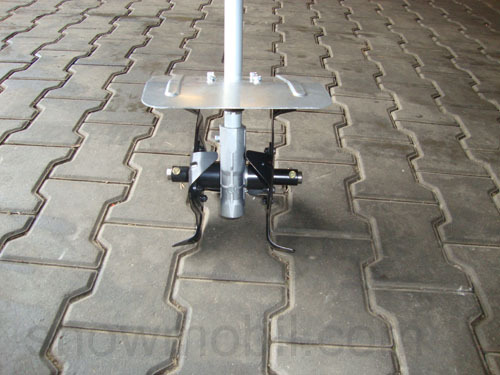 A support/safety plate allows to have a uniform distance to the ground and this produces a clean cut appearance. 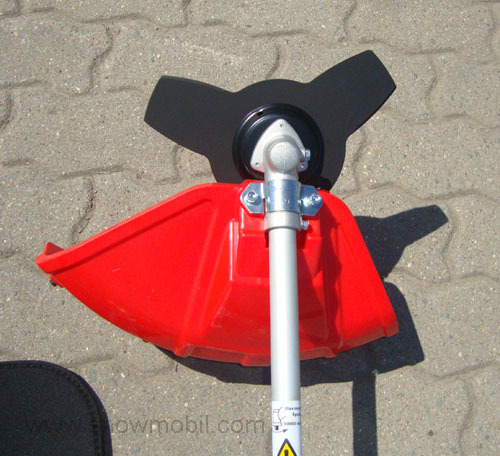 The double line head / trimmer head is filled with a nylon line with a thickness of 2.4 mm. The line is readjusted by dribbling while mowing. 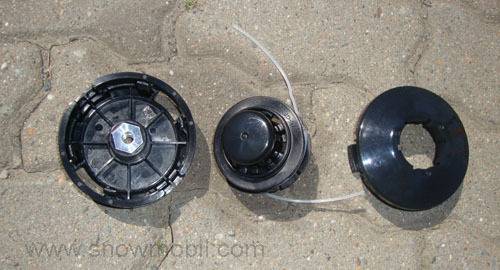 The trimmer head can be take apart without tools. If the line is over, both lines have to be wound in direction of arrow. 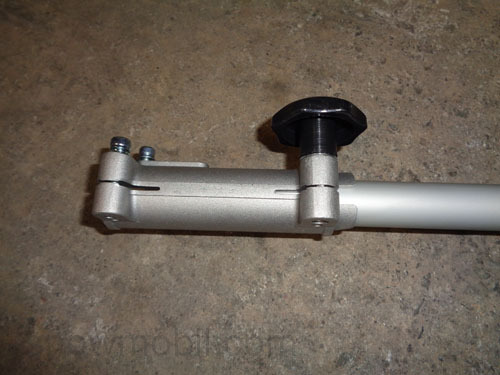 The trimmer head has a M8x1.25 left male thread and can be replaced with any equal nylon line of a commercial double line trimmer head. 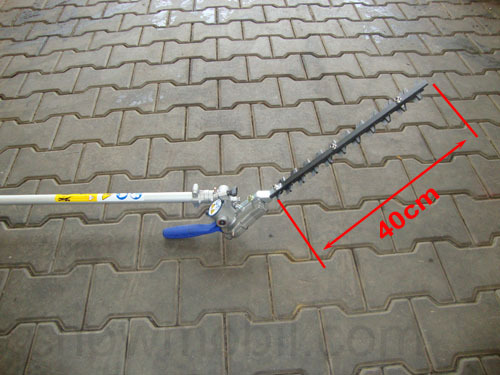 The cut circle is 400 mm.